RADAR is an acronym for RAdio Detection And Ranging. Radars are techniques or systems to detect movement and objects by means of radio waves. Most radar units use microwave frequencies, but the principle of radar is not confined to any particular frequency range. In nature, the radar technique is used by bats to locate objects and preys. Radar can intercept objects by transmitting pulses of electromagnetic waves through a directional antenna; objects reflect the pulses. These reflections are then picked up and converted into visible form by a cathode-ray tube. The distance of the object is measured by the time taken for the radar signal to reach and return from the object; the location is determined by the direction from which the pulse is received, while the velocity is determined by the principles of the Doppler effect. If the object is approaching the radar unit, the frequency of the returned signal is greater than the frequency of the transmitted signal; if the object is receding from the radar unit, the returned frequency is less; and if the object is not moving relative to the radar unit, the return signal will have the same frequency as the transmitted signal. Mankind began research on the concept of the radar around early 20th century. The theory that radio waves could bounce off objects was postulated by Hertz in 1887. After MARCONI discovered radio waves, he also demonstrated (in 1922) that one could intercept object with radio waves. In the coming years, several scientists in various countries were experimenting with the radar. In 1904, Christian Hülsmeyer (1881-1957), a German scientist received a patent for the Telemobiloskop, or Remote Object Viewing Device. Simultaneously scientists in several other countries were developing remote sensing too. This device's principal use was to avert ship-collision. But with little or no commercial interest, the idea fell through. The scientific world has to wait till 1935, for Sir Robert Watson-Watt; the Scots physicist successfully demonstrated the detection of an aircraft by a radio device. Two years later, the world's first operative radar network, called Chain Home (CH) became operational in Britain. With their device, bombers could be detected at ranges of 150km and more. But it was during the war that the maximum research and advancements on the radar was done by several countries, including Germany, France, Great Britain, and the United States. The Chain Home detected several incoming raids during the Battle of Britain (1939-41); it also provided information to guide interceptors to home in on the bombers. Radar did have a chance to change the course of WWII, when a system actually detected the Japanese attack squadrons from one of the Pacific islands of Hawaii. Unfortunately the men in command did not believe the report of the observations and hence did not act upon it. In the 1940s, Stealth Technology was invented, after the Germans submarines suffered severe losses because they were detected by airborne radars once they surfaced. This was partially averted by applying a mixture of graphite and rubber that could weaken radar echoes substantially. But this worked only when the subs were on dry rock, but in the sea, it was the water and salt layer that reflected the radar signals. By the end of the war, most of today's technologies had already been put to use. There was a chirp radar in production, the monopulse principle was invented and even a Synthetic Aperture Radar already existed. The Chain Home was used to detect the V2 rockets after they left their launch sites, now that could be renamed as Anti-Ballistic Missile (ABM) radar system. Some ideas which born after 1945 were the phased array antenna technology and the concept of multistatic radar. Radar technology was highly secretive during the WWII. Only in 1946, did USA reveal that they had a device that successfully measured the distance to the moon (a round trip of 770,000km). Later it also became known that a Hungarian device had already done the same thing in 1944. Today, radars are still used in warfare and defense technologies; commercial airplanes are also equipped with radar devices for averting objects, they can also land in foggy runways with the help of radar-assisted ground-controlled approach (GCA). Radar is also used in geography for mapping areas and navigation; meteorologists use them for monitoring precipitation and also for observation of thunderstorms and tornados. 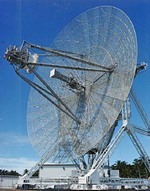 But a major use of the radar today is in astronomy; in fact it opened a new field in astronomy-radar astronomy. Radars are used to study the planets and the solar ionosphere and to trace solar flares and other moving particles in outer space. Radar contact was established with Venus in 1958 and with the sun a year later.